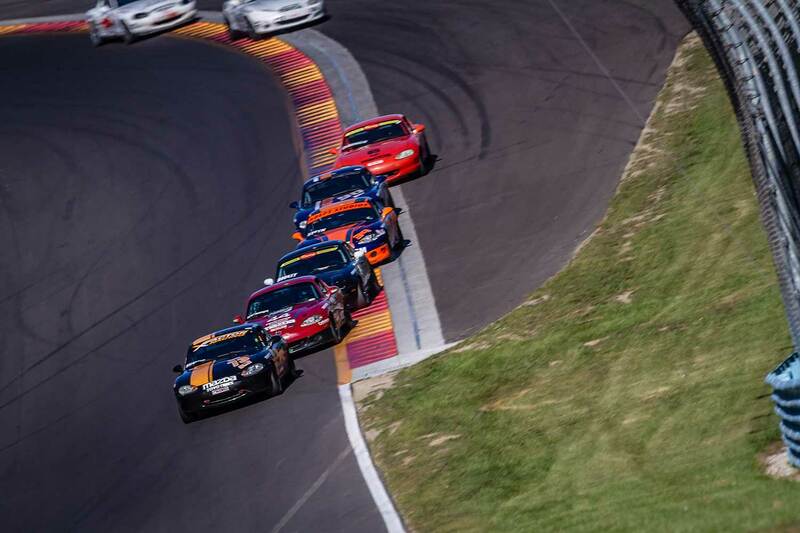 The 2016 NASA Championships East were held at the historic Watkins Glen track that is known for its great layout, and incredibly close Armco barriers that punish small mistakes. 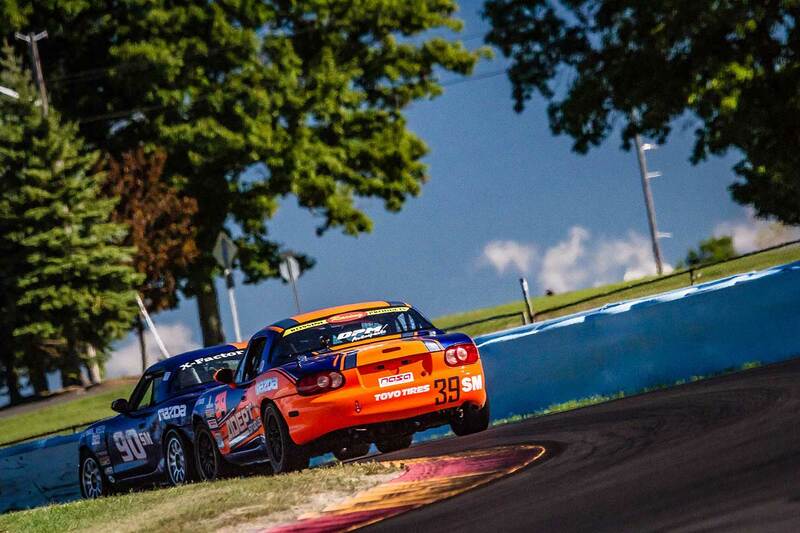 The Championship event always brings out the best racers in the country, but the added lure of Watkins Glenn bumped the numbers significantly, and this year Spec Miata was the single biggest class in all of NASA. 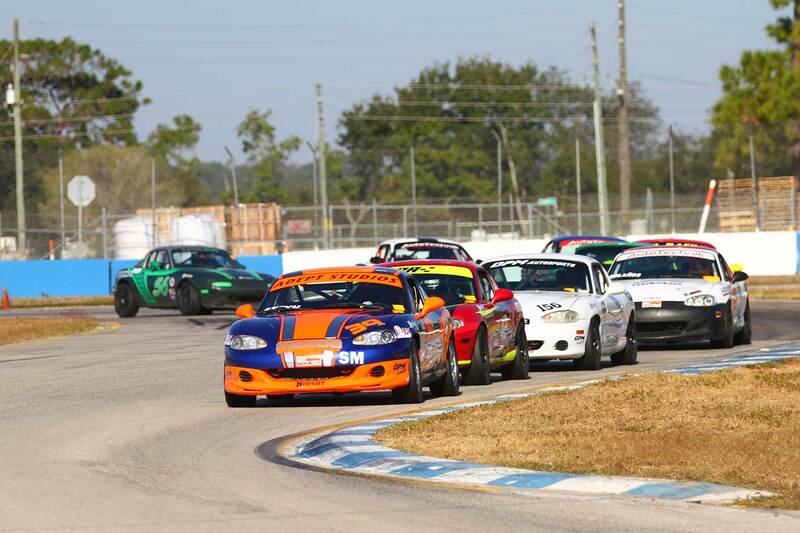 Some of the countries quickest shoes were in attendance including the 2015 champion Mark Drennan, Tyler Kicera, Christopher Haldeman, Ralle Rookey, Andrew von Charbonneau, Todd Buras, Preston Pardus, Michael Ross and more. 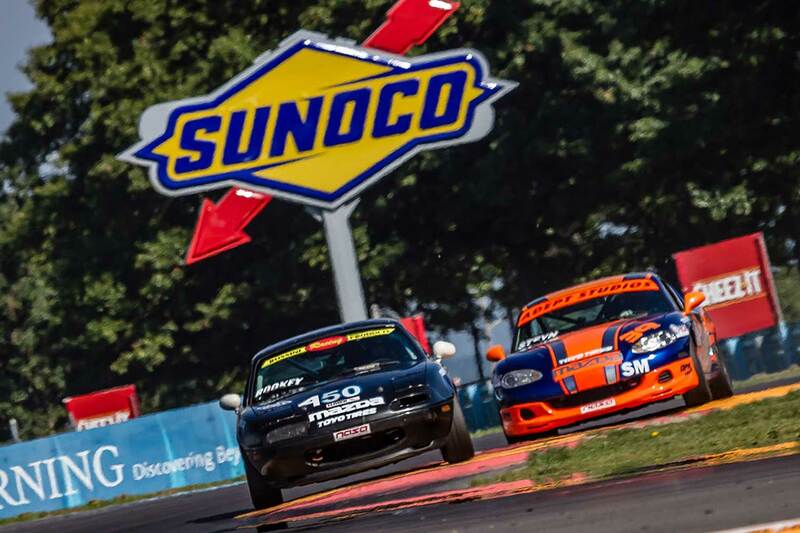 Throughout the qualifying sessions and qualifying racers, Tyler Kicera proved to be the quickest in the field, closely followed by Chris Haldeman. Danny Steyn was struggling with setup and coming to terms with the TOYO tires and was off the pace quite a bit. By the time all the qualifying Races were over, Haldeman was on the pole by Kicera next to him, followed by Rookey, Steyn and Trevor McCallion. The field went two wide through Turn 1 and the esses, and then Steyn got to Rookeys bumper and pushed Rookey and Haldeman clear of Kicera, who exited the bus-stop in 5th place behind Preston Pardus. 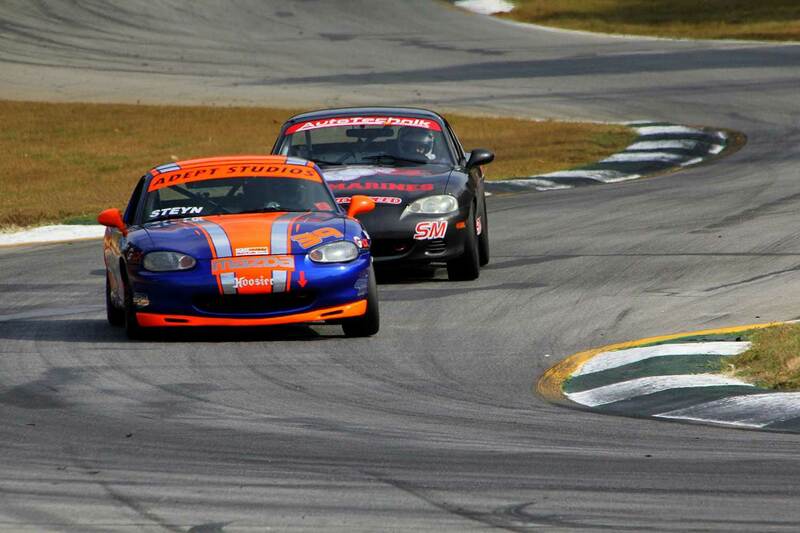 Before the end of the first lap, Kicera had powered by Pardus and Steyn into 3rd place behind Haldeman and Rookey. For the next two laps the top six ran bumper to bumper before Pardus fell off the train. Then on lap 4 McCallion pushed Steyn past Rookey into 3rd place, and then pushed Kicera past Haldeman into the lead. Shortly thereafter Steyn took over the lead from Kicera and Haldeman. But in less than half a lap Steyn was shuffled back to 3rd with McCallion in 4th. Kicera and Haldeman would break away from Steyn and McCallion, only to be caught again a few corners later. Around the two thirds mark, McCallion got by Steyn, but then overcooked the bus stop allowing Steyn back into 3rd, but this put them both a long way off the two front runners. Shortly thereafter the Full Course Yellow came out and the field regrouped to a mad one lap dash to the finish line. Kicera held on for the win ahead of Haldeman, Steyn picked up 3rd place on the podium and McCallion finished 4th. 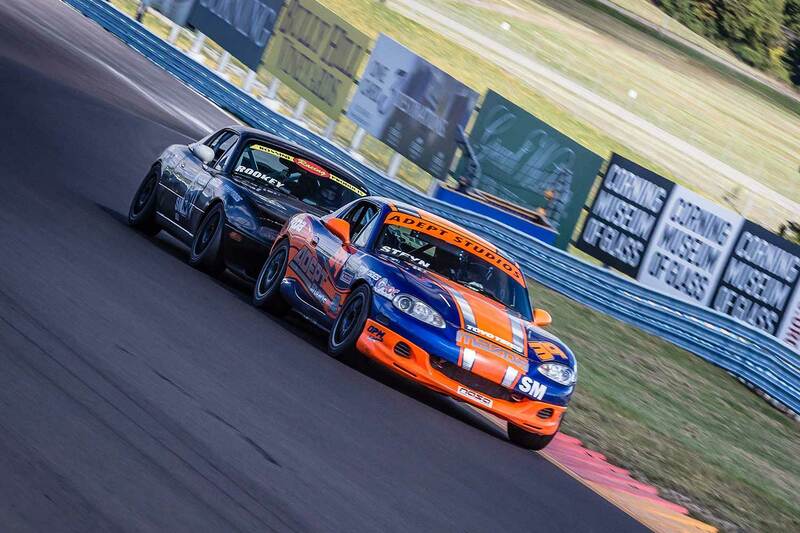 Kicera set a new NASA Watkins Glen Track Record of 2:15.078 and Steyn was a mere 15/1,000ths of a second back. 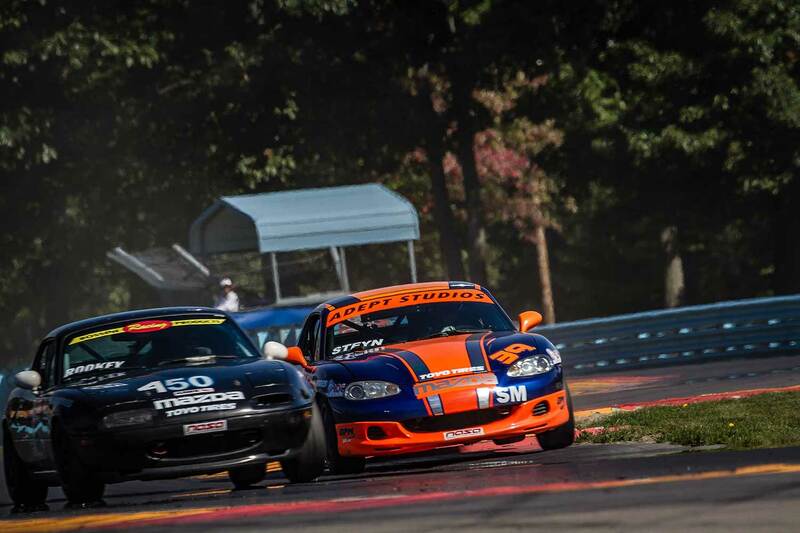 Ride along with Danny Steyn as fights for a podium spot at the NASA Championships at Watkins Glen!